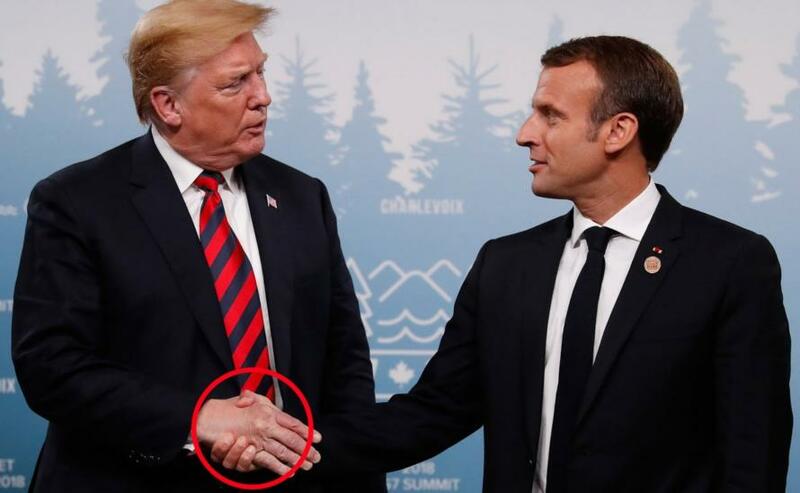 Having been literally 'squeezed' by French President Macron while in Quebec for the G-7 Meetings, President Trump has lashed out at another French-speaking leader in a late-Saturday series of rage-tweets. 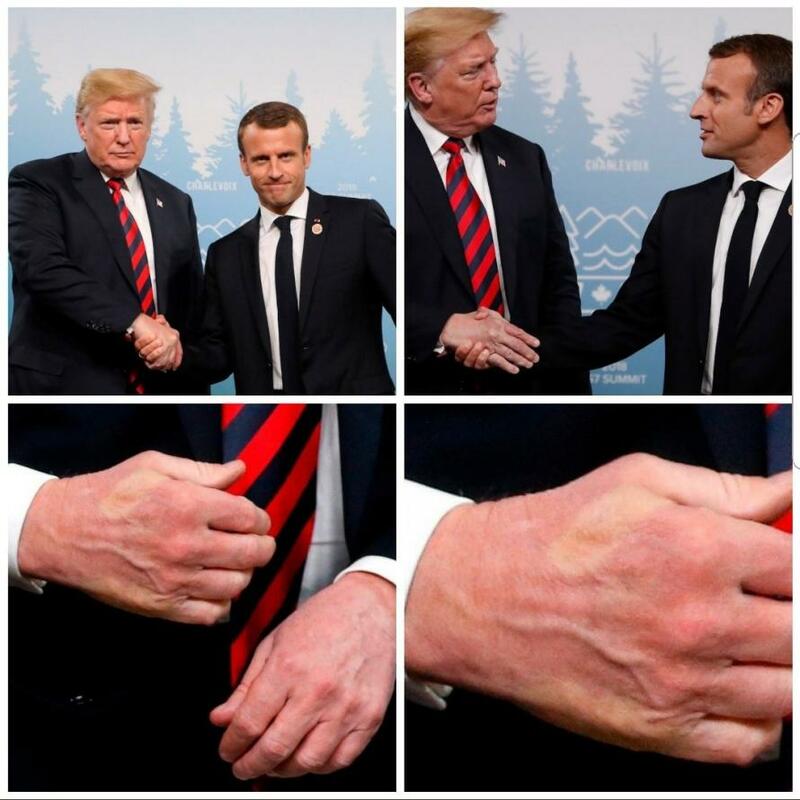 for the imprint of Macron’s thumb the French leader left on Trump’s hand. 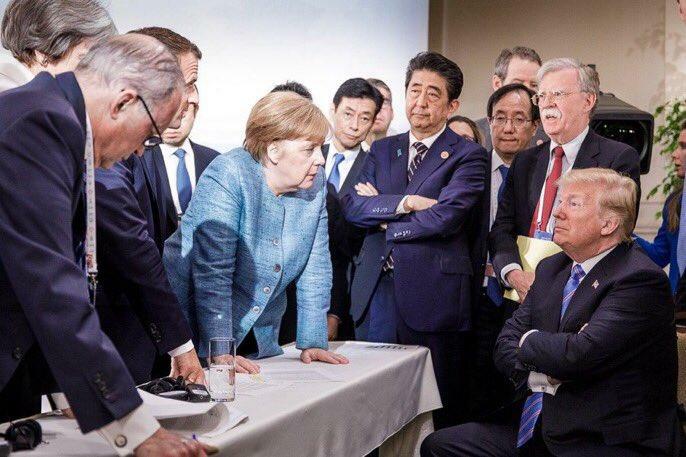 But after hours of to-ing and fro-ing among various representative of the G-7 nations, a final communique is yet to appear - and now, judging by Trump's tweet tirade - it will indeed be a G6+1, with the US historically refusing to endorse the communique for the first time. 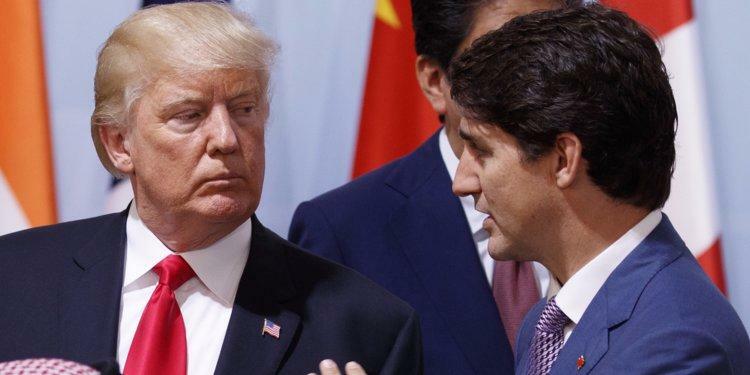 Canadian Prime Minister Justin Trudeau earlier said his country would move ahead with retaliatory measures against the recently imposed US tariffs on allies' steel and aluminum exports. 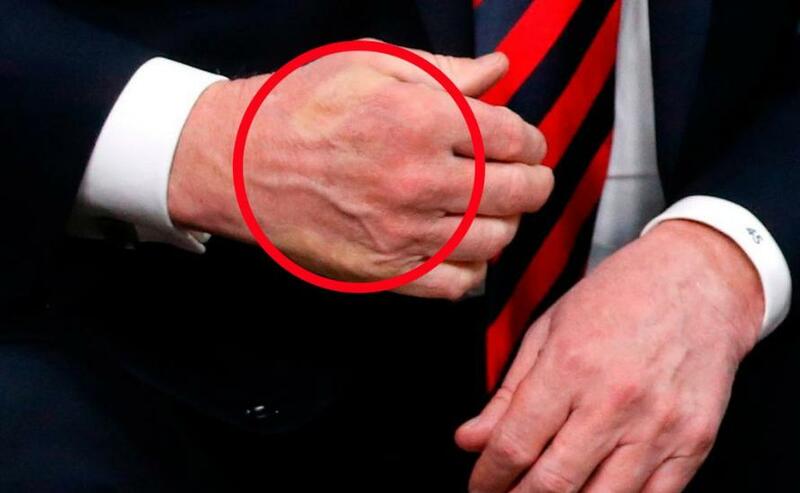 He said the new tariffs on Canada were "insulting" and said he told Trump directly that Canadians "particularly did not take lightly the fact that it's based on a national security reason" and held firm to the government's threat of retaliation. "Canadians are polite, we're reasonable, but we also will not be pushed around." "PM Justin Trudeau of Canada acted so meek and mild during our @G7 meetings only to give a news conference after I left saying that, 'US Tariffs were kind of insulting' and he 'will not be pushed around' Very dishonest & weak. Our Tariffs are in response to his of 270 per cent on dairy!" Trump posted in another tweet. Earlier while still in Quebec, Trump said he wants to make a deal on NAFTA, and he's open to working with the current pact or striking separate agreements with Canada and Mexico -- as long as they agree to renegotiate every five years.